Returning 17-18 February 2018 to the Olympia in London. 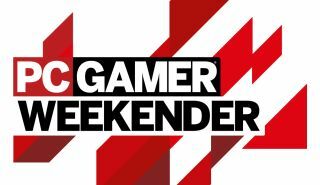 The PC Gamer Weekender is returning for its third year on 17-18 February 2018 at the Olympia in Kensington, London. Like the last two years, you'll be able to play great PC games before they're released, attend developer talks on some of the biggest games around, join workshops on PC hardware and tons more. You can buy early bird tickets here for as little as £9.99. Early bird prices are available until midnight of December 1st. You can expect our full suite of 2017 content with a load of fantastic new things for 2018. These include a dedicated arcade area, since we got such a positive response to our retro games area this year (I'll politely demand the return of Jedi Knight II multiplayer), a Get Into Games career area and an esports bootcamp. where attendees can learn from pros first hand. Maybe someone can finally teach me how to use the air in Rocket League? I've still never mastered that one. Everything you loved from the PC Gamer Weekender 2017 will be back - including modding your PC in Workshops, Tournaments which will be bigger and better, and, of course, loads of pre-release games to try out!